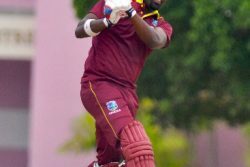 In another groundbreaking attempt to assist in the development of cricket in the United States of America, the International Cricket Council (ICC) yesterday said that a team from the Americas will participate in next year’s WICB Nagico Super50 tournament and its top players in the Caribbean Premier League (CPL). The ICC also announced that trials will be held in Indianapolis, USA, in September and declared that only players that meet the ICC eligibility criteria to play for Associate and Affiliate Member countries within the Americas Region will be considered for selection in the open trial and regional team. 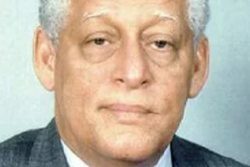 West Indies Cricket Board (WICB) President Dave Cameron who has been credited with the new initiative was pleased with the new development. “The WICB takes its role to assist the development of cricket in the Americas region seriously, and therefore we are delighted to be supporting this initiative,” Cameron said. “The Nagico Super50 and the CPL are important events on our annual calendar, and to extend opportunities to the best players in the Americas to compete in them is the right thing to do in-line with ICC’s strategy to grow cricket beyond its traditional boundaries,” he added. 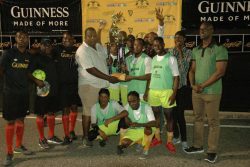 Following participation in the WICB One Day tournament in January, outstanding players will have an opportunity to play in the CPL later in the year. The ICC’s Head of Global Development, Tim Anderson called the new development exciting stuff. “It’s exciting that the ICC, in cooperation with the WICB, is able to provide this opportunity to the best cricketers in the Americas region,” said Anderson. Anderson who was involved in yesterday’s meeting of the associate and affiliate member countries of the ICC said the matter was discussed at yesterday’s meeting. “One of the things we discussed at the meetings today is the ICC’s new strategy for the next four years and one of the key elements of that from a development perspective is for development to be more integrated and more supported by the full members,” Anderson told Stabroek Sport in an interview shortly after yesterday’s meeting ended. “We have five regional offices we have America, Europe, Africa, Asia and East Asia/Pacific and there are varying numbers of Full Members in each of those areas so obviously in the Americas region the WICB is the Full Member and over the last couple of years, Dave Cameron has always taken a bit of interest in the development of cricket in North, South and Central America,” said Anderson. “Through that process and through that enhanced integration policy, the WICB offered for an Americas team to play in the Nagico Super50 competition,” Anderson disclosed. “So as part of that process we had to come up with a mechanism to select a regional team to compete in that tournament so what we decided to do is to develop a concept for the combine which is essentially a draft/camp. 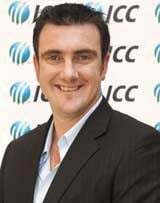 “Essentially it’s got two phases one, …a public application you can apply online and the application will include information about themselves their cricket, their history, their statistics, who they play for which country they represent and so on as well as a video of them playing. “What we will then do is well, select, we don’t know how many applications we’ll get, but whoever is selected will come to the combine in Indianapolis try your way see how you go and because we play a lot of tournaments in the region we know most of the best players but because the USA and Canada are such big district countries to the combine process we’re looking to see if there are persons out there who are not part of the system, diamonds in the rough, who haven’t been identified yet that can be a part of the cricket system. “Phase two will be players who are identified already together with the best of the online applicants. Applications for Phase 1 of the Combine close on Friday July 17.